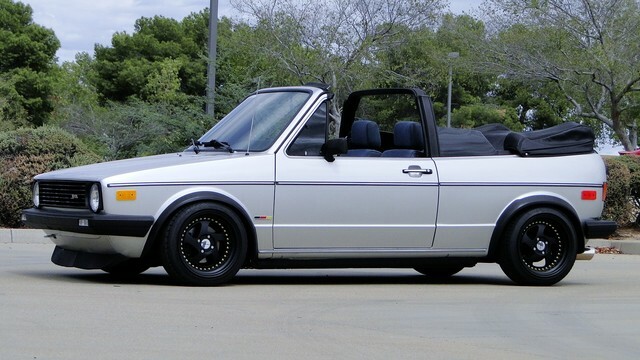 When considering the Volkswagen Rabbit Convertible and it’s Halloween disguise replacement, the Cabriolet, I was at a bit of a loss to explain its general lack of popularity. 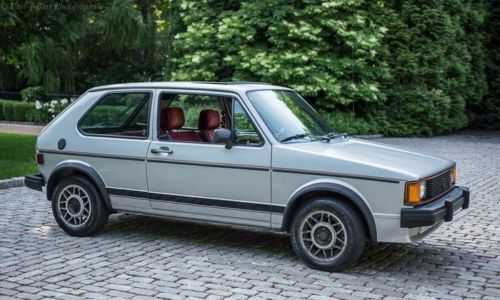 It wears much of the same DNA as the very popular, universally lauded, and VW market darlings of the moment GTi and first generation Scirocco. Yet it is often dismissed as too soft, too heavy, too weak on performance, and too girly. This is strange, since it’s not the removal of the top that dynamically changes it much. You don’t look at a R107 or Porsche Cabriolet and think ‘Wow, those drapes they’ve put on top have really made this car feminine.’ I guess ultimately it’s probably like the difference between the two Mercedes-Benz Formula 1 drivers, Lewis Hamilton and Nico Rosberg. Underneath, the share 99% plus of the same DNA. They’re both intelligent, well spoken, dynamic and ruthlessly, take-no-prisoners fast on the race track. Yet when it comes down to it, the crowd loves the plucky underdog Brit, while the cold and calculating German seems a bit of the villain. Silly, right? 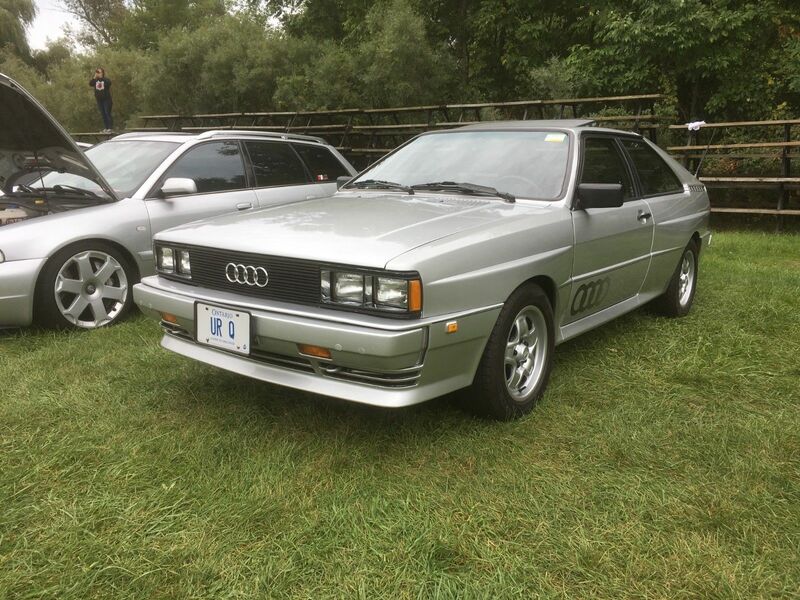 While it’s awesome to contemplate museum-quality classics from the 1980s, the reality for most enthusiasts is that they’re quickly being priced out of the market. And let’s say you do drop some semi-obscene amount on your weapon of choice – what then? Are you going to drive it to the market, knowing that every trip means a chance at being run over by a cellphone wielding driver who was much more impressed with their Snapchat convo than your Snap-on collection? Some will, but more than a few cars will be tightly wrapped in their protective blankets, seldom to see the light of day for fear of falling residuals. 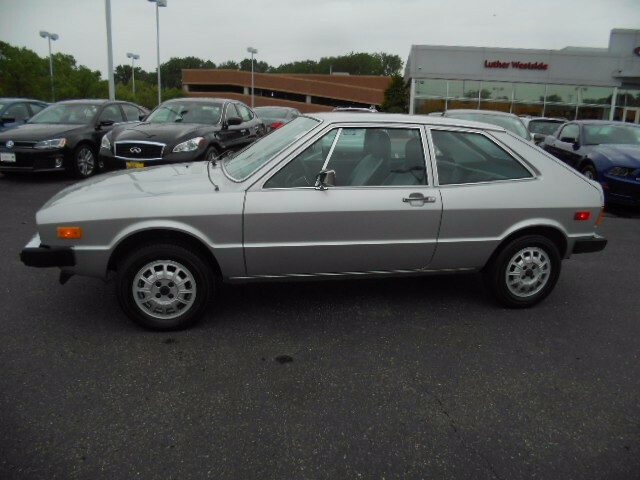 It’s therefore a bit refreshing to see a clean example of a classic that isn’t absurdly priced or ostentatiously presented, a driver-quality car that can be improved upon and enjoyed. 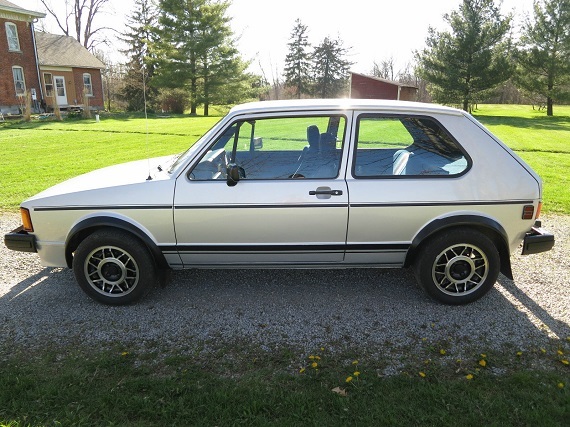 This 1983 GTi is just such a ride; clean overall but not perfect and not claimed to be, the seller has opted for a no reserve auction. Yea! 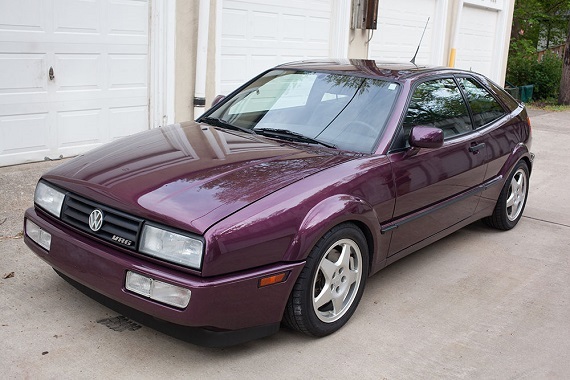 I’m going to take a slightly different tack from Nate’s post yesterday on his equally immaculate Royal Red GTi. 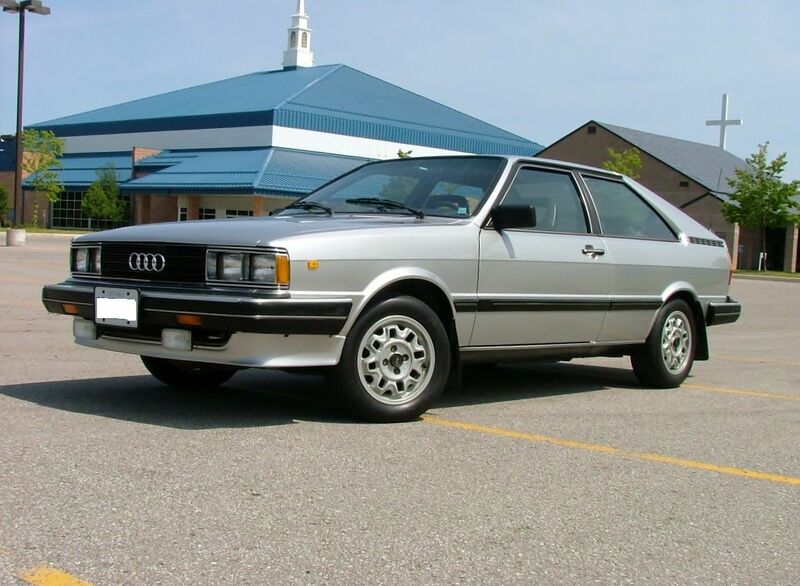 I owned an A1 GTi once. It was one of the worst automotive decisions I’ve ever made. 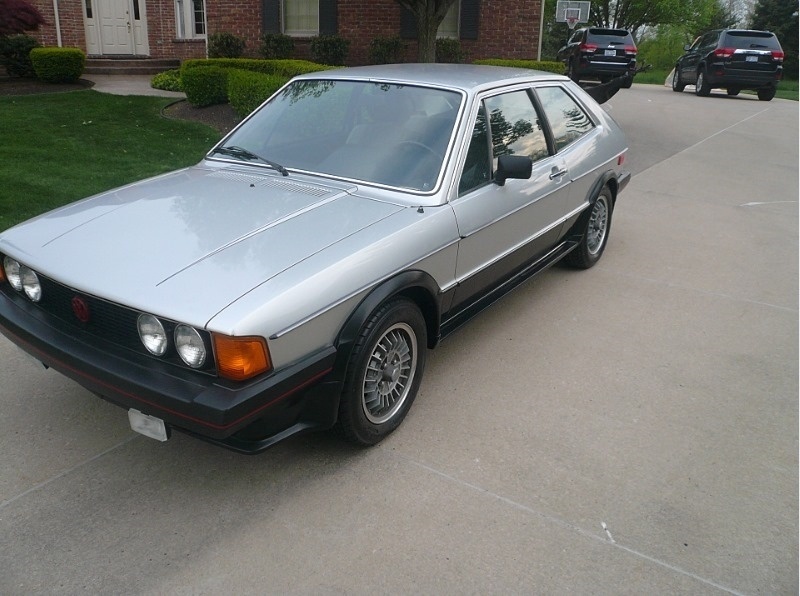 Back in 1998, I bought a non-running, rusty and very tired black over blue 1984 example for $300. I had every intention of “restoring” it to back good condition, but I was 21 and a poor college student and it was 14. But it wasn’t the age (or the mileage, Indiana), it was how it had been treated in that 14 years. After all, my current Passat is 14 years old and while it’s not perfect, it’s pretty damn nice. Heck, my M3 is 13 years old and basically looks and drives new. No, age was much harder on the cars of the early 1980s; plastics weren’t as durable as they are now, nor was paint. Metal was more rust prone and the electronics were no where near as reliable even though there were so far fewer in the car. 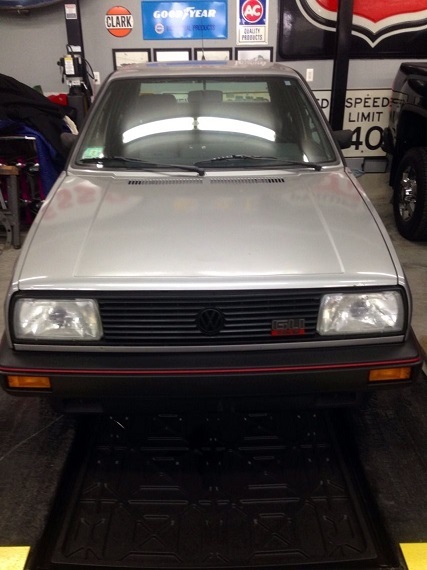 To back my GTi up, you could simply look through the crease in the bodywork between the taillights and the rear floor where there was no longer metal. Every single bushing was gone, and what was left vibrated like an unattended paint shaker at Home Depot set to high. The paint was ruined – the car had clearly been hit at some point, so the passenger door and fender were a different shade of black than the rest of the car, which could more be described as dark gray spread very thinly over light gray primer. One time it started itself, which was a bit scary. Another time, it refused to start because the starter had removed itself from the transmission, but only enough to jam the gear into the flywheel. Then one fateful night one a ride home from a late shift at work, the fuse box lit on fire, consuming the functionality of all electrics save the high beams. I had sunk a few thousand dollars into keeping that car running and improving it over the year and a half I drove it. 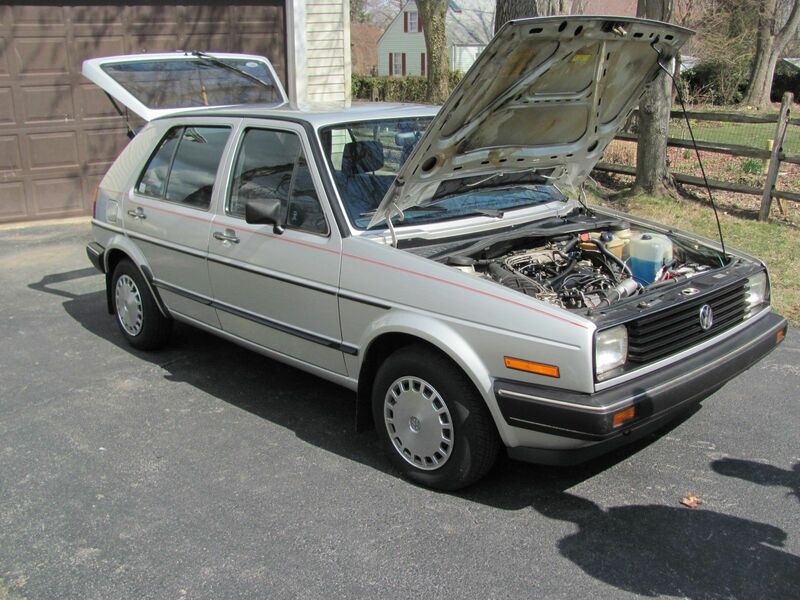 Ultimately I sold it for parts – for $300.